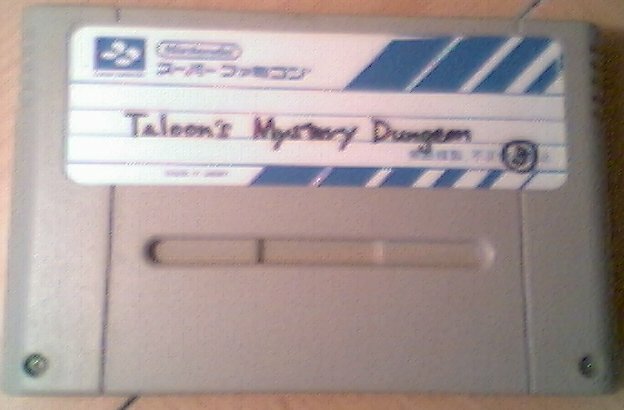 This prototype of Taloon's Mystery Dungeon originates from Nintendo of Europe in Germany. The owner acquired it when he was working there. It is a localization of Torneko no Daibouken, a spinoff of Dragon Quest 4, featuring the pudgy merchant, Taloon. It's unique semi-action rpg elements may have made it considered for the European market, much like Terranigma was.